Summertime is synonymous with delicious fruits, especially fresh berries. 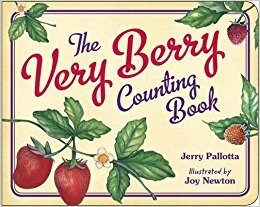 My one year old loves this board book and not only does it expose him to different types of North American berries, it is an introduction to counting. The book is sturdy enough that he is able to flip the pages and we love looking at the beautiful illustrations together. The illustrations definitely have a vintage appeal to them. This book is a great addition to our collection of counting board books and is perfect for summertime. My little guy has just started to notice the various birds that visit our backyard bird feeders. He has started to point them out to me and has become very curious about them. This board book is perfect for his age group, because not only does it introduce the various types of birds that a person may encounter, it also goes over colors. We love reading this book together and looking at the vivid illustrations. 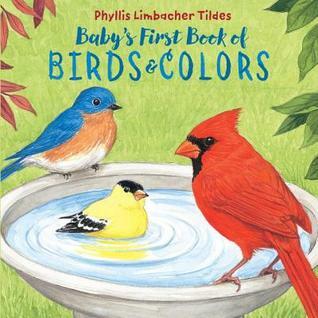 With the warmer weather arriving and more birds visiting our garden, this makes for a perfect summertime read for little ones. Although this book is being republished as a board book, it is perfect for preschool age children. The language is very poetic and it would be ideal for an end of summer/introduction to fall read aloud. I love that it covers the various types of leaves that a person may come across. I especially appreciate this, since I definitely can't answer all my son's questions about various types of leaves. 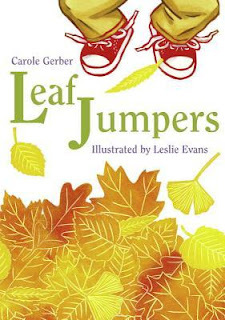 I also love how this book highlights one of my son's favorite fall activities: jumping in leaf piles. We will definitely be reading this book a lot come this fall. This book tugs on my heartstrings big time and I am so glad that Charlesbridge has republished this classic. 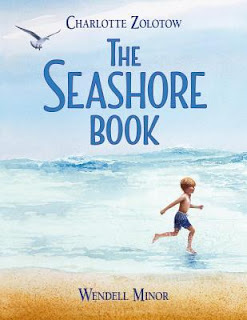 I couldn't think of a better picture book about the beach that captures the beauty and the magic of a beach day. I also love that the story is all about a mother telling her son about the beach and imagining they are there. I know I have done this almost every winter myself, so I could relate to this story wholeheartedly. My son really likes the illustrations and the vivid details. Zolotow describes the sound of the beach, the wind, the seashells, and other vivid details so well. If you are looking for a beach read for a little one this summer, look no further. This is a memorable tale for both the reader and the child. 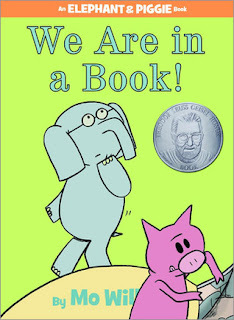 I can see why this particular book in the Elephant and Piggie series is so popular and has an award. It feels very interactive and my son absolutely loves the humor. He says it almost feels like Elephant and Piggie are talking to you. You can't go wrong with this series. This is such a fun book, especially if you have a little one who loves dinosaurs as well as music. This story definitely has a musical quality to it. I also appreciate the overall message of sharing. 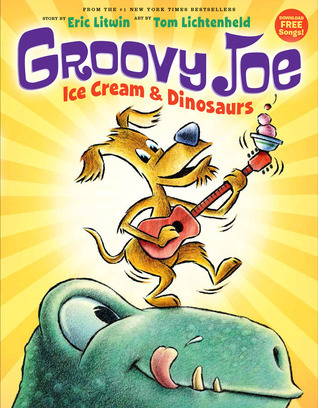 Apparently there are even Groovy Joe songs that you can download. How fun! 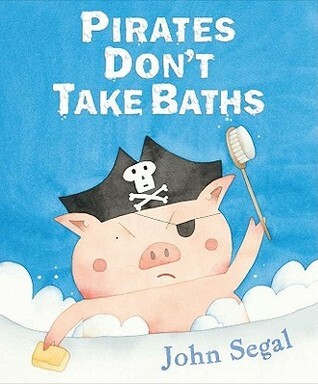 This is a fun read-aloud about a pig that really doesn't want to take a bath and his mom convinces him otherwise. The back and forth between the mom and her son is definitely something we can relate to here in my house. It made us smile. This book is now available as a board book, which I think is just perfect. 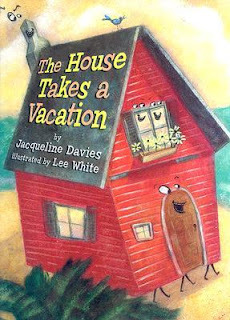 I absolutely loved this picture book. It's not often that I fall in love with a book and my son does as well. The Kraken wants to make new friends, so the charismatic shark gives him some advice on how to make new fishy friends. Kids can really relate to this story and appreciate the overall message. 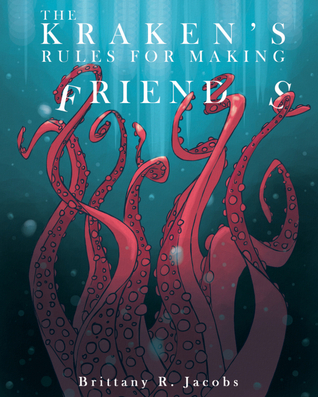 The author gives young ones advice, but in a funny way, so it's not overly preachy. Pinkney has really outdone himself with this picture book. We absolutely loved it and the illustrations are fantastic. 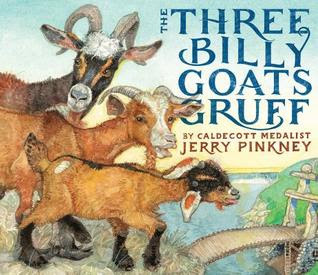 Pinkney has taken the classic Three Billy Goats Gruff tale and put a twist on it by addressing the important issue of bullying. 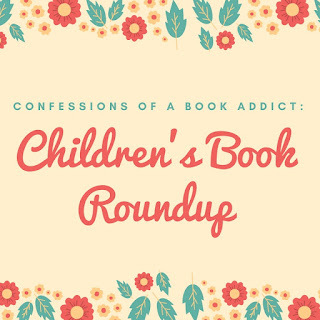 It's perfect for a read aloud and a must-have for children's bookshelves and classroom libraries. Highly recommended. My son loves the Strega Nona books (I do too!) and they make for fun read alouds. I thought this book much be particularly fun to read this summer right before our own family vacation. Strega Nona is feeling overworked and one night she dreams of her Grandmother. 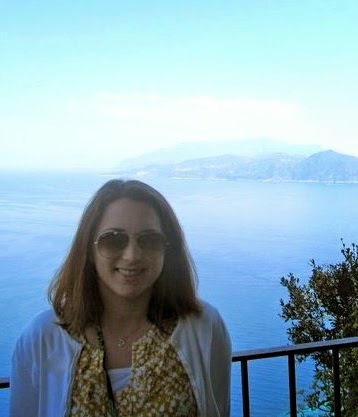 In the dream, she is at her Grandmother's cottage by the sea. 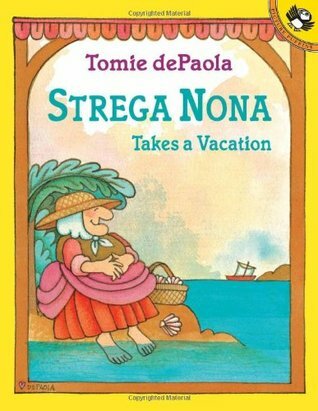 So Strega Nona decides to go on a vacation there. 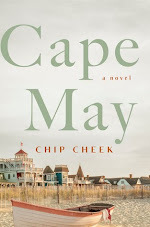 It's a cute read for the summertime. My son absolutely loved the first book, so we were thrilled to check out this sequel. 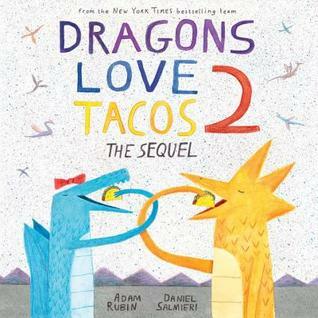 This one of course involves tacos, spicy salsa, and dragons, but this sequel has a time machine! It's a lot of fun and my son wanted to read it again and again. It also made him laugh hysterically. It's a little bit on the silly side, but no complaints here. This book was in the "Summer Reads" pile at the library, so of course it caught our eyes. The people who live at the house take a vacation and in turn, the house decides he wants to go on vacation as well. The various parts of the house can't agree where to go though. It was an odd read that I really wasn't a fan of. The only thing that I truly appreciated were the very nice illustrations. Strega Nona Does It Again by Tomie dePaola (September 26, 2013 - Publisher: Puffin ) - Normally I enjoy the Strega Nona books, but this one was a bit odd. It deals with an unwelcome guest and it happens to be Strega Nona's cousin's daughter. But she's wretched and straight up horrible. Of course Strega Nona has a solution, but it wasn't working for me at all. I didn't think this book was as good (or as funny!) 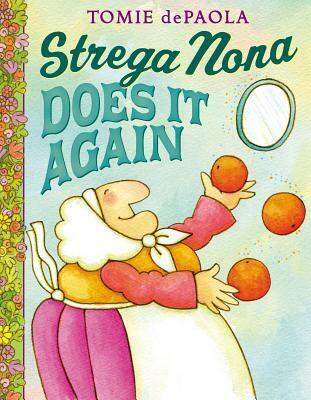 as some of the other Strega Nona tales that we have read in the past. 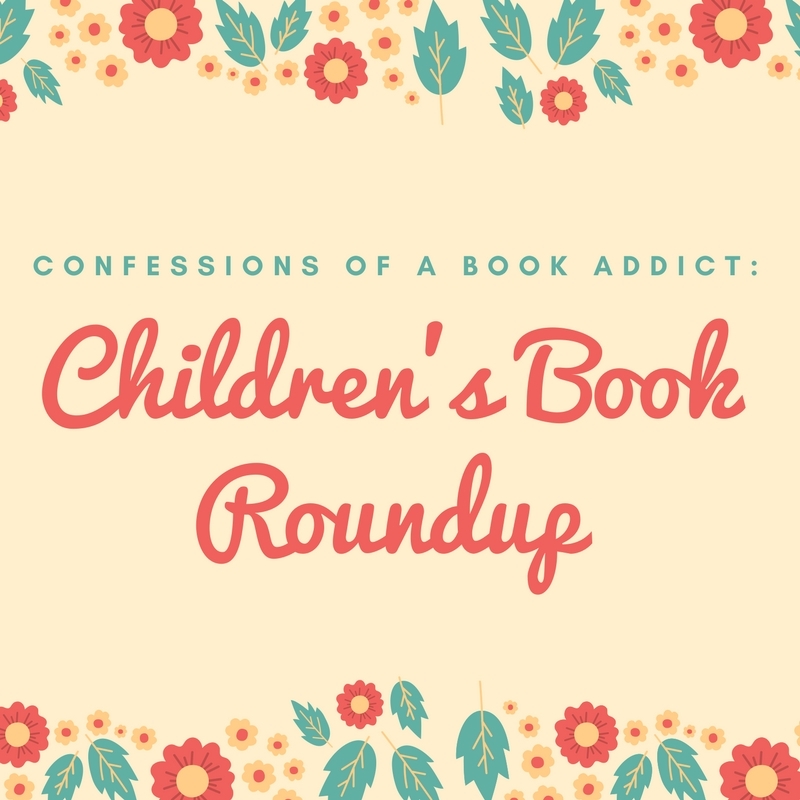 Have you read any of these children's books? Do you have any recommendations for me? We are always on the hunt for our next favorite read.